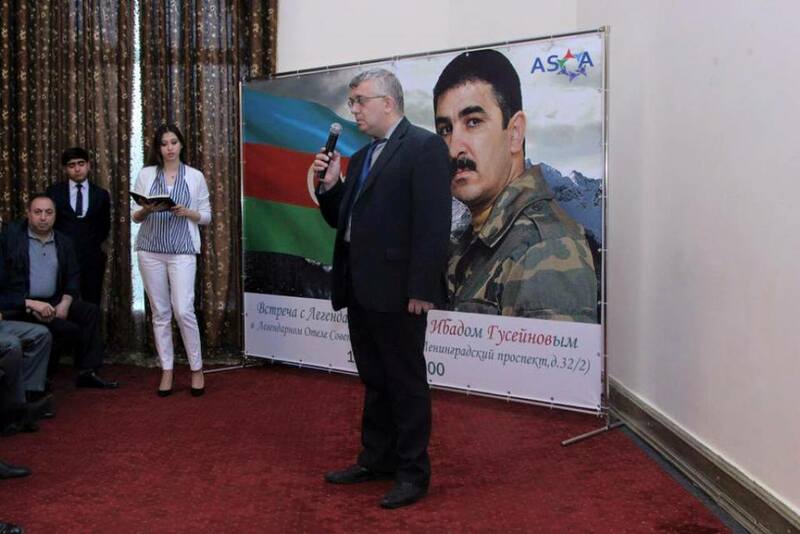 On 14, June, Azerbaijani intelligence officer, Chevalier of the Order of the Azerbaijani Banner Ibad Huseynli took the floor in Moscow at the event organized by the Youth Public Movement "ADDIM", the Association of Azerbaijani-Slavic Youth in the Russian Federation and the Center for History of the Caucasus. The event was attended by Azerbaijani and Russian diplomats, artists, leaders of social movements and the Azerbaijani youth. 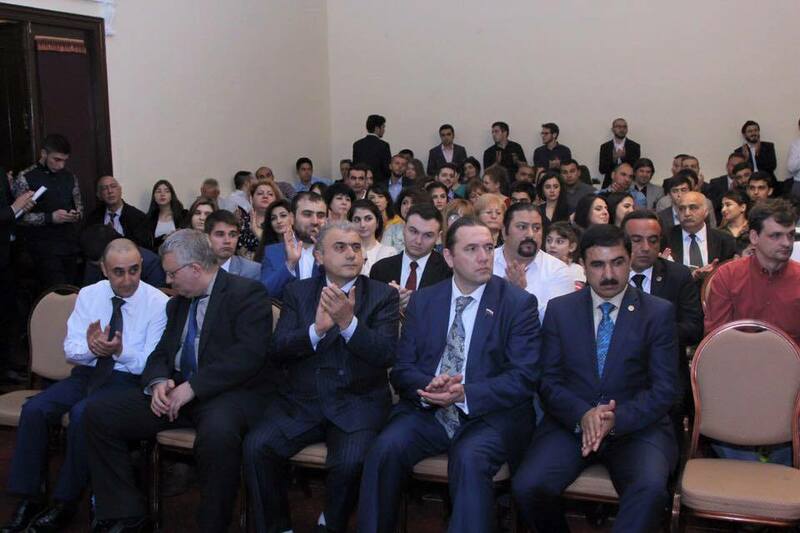 First, the event attendees watched the documentary reflecting the battle route of I. Huseynli. Then, Maxim Shingarkin, a Member of Russian Parliament, noted that the Azerbaijani and Russian peoples are friends since ancient times and now there is even a bigger necessity to develop bilateral relations in all spheres. Maxim Shingarkin also spoke about the role of Heydar Aliyev in the history of the USSR and in the formation of independent Azerbaijan. 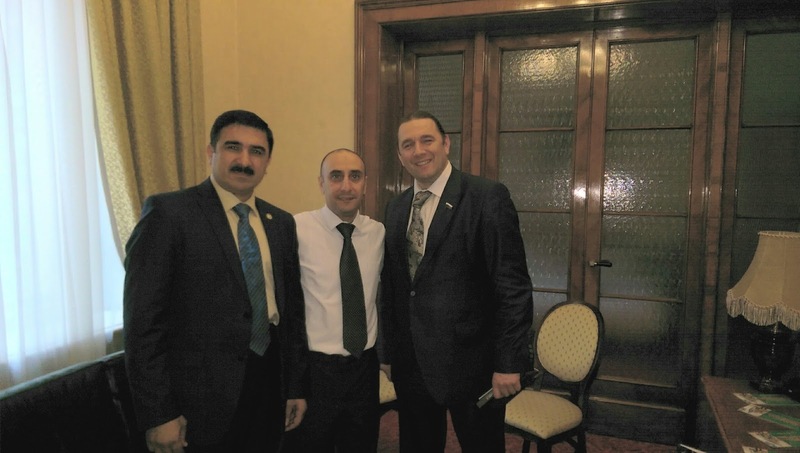 He expressed gratitude to the Azerbaijani diaspora in Moscow and personally to Ibad Huseynli for his activities aimed at strengthening relations between the two countries. In his turn, Oleg Kuznetsov, a Russian historian and lawyer told about the history of Azerbaijani-Armenian conflict, about the problem of Armenian terrorism and especially he marked the contribution of Ibad Huseynli in the fight against this evil. In Kuznetsov’s view, life and work of Ibad Huseynli should serve as an example to follow. 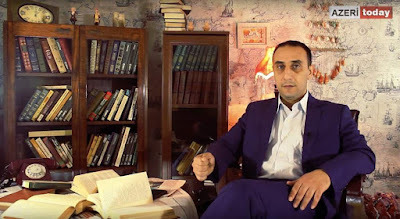 The Director of the Center for History of the Caucasus, a senior researcher at the Institute of Law and Human Rights of ANAS Rizvan Huseynov told about the role of Ibad Huseynli in the fight against the Armenian nationalism. Rizvan Huseynov also mentioned the present state of Russian-Turkish relations considering the period of estrangement between Moscow and Ankara. "Despite the current chill in ties between Russia and Turkey, the people of these countries are still willing to restore good relations. The partnership between two great countries will be undoubtedly restored with renewed vigor in all spheres", said Ibad Huseynli. 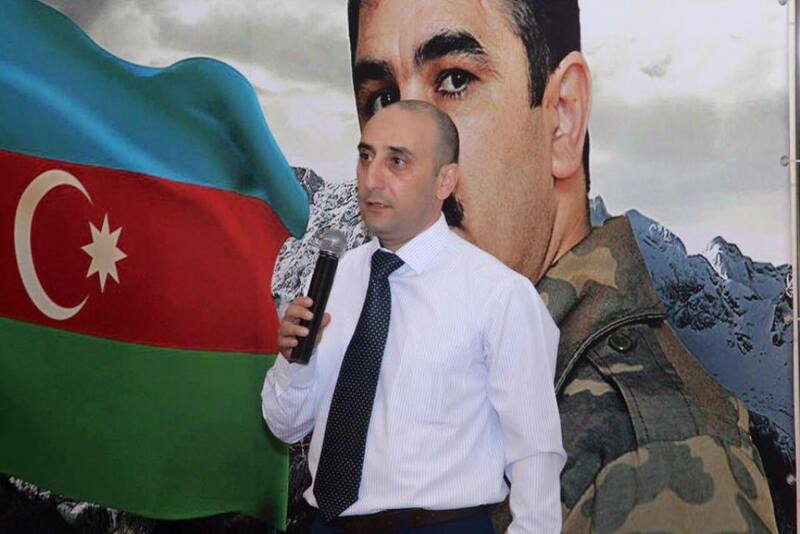 "It is a known fact that Azerbaijan is a strategic partner of Turkey. We have common ethnic and religious roots. At the same time, Russia is our great neighbor, the country, which has left deep historical and cultural marks in our history. As a citizen of Azerbaijan, I would like to see the former good-neighbour relations between Russia and Turkey repaired. Without a doubt, I believe it will happen very soon. The deterioration of relations between Russia and Turkey plays into the hands of Third Parties in the West, who perfectly understand allied interests of Russia and Turkey could become a serious factor of the Eurasian policymaking. On April 14, 2016, during the annual television call-in show Russian President Vladimir Putin said that Russia considers Turkey and the Turkish people as friends: "We see Turkey as a friendly country and the Turkish people as friends. We are having problems with certain political leaders whose behavior is less than adequate”. It means that the cooling of relations between Russia and Turkey happened at the level of politicians", - said I. Huseynli. Ibad Huseynli is ready to make every possible effort to organize dialogue between the Russian and Turkish leaders to overcome the conflict between the two countries. This proposal was welcomed by Russian politicians and officials at the event. 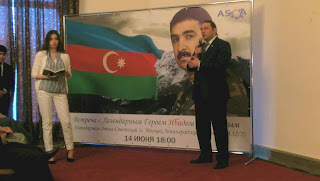 He also spoke about the armed clashes at the Karabakh frontline in April. Huseynli underlined that Azerbaijan defends its sovereign territory, and the entire world community recognizes Karabakh as a part of Azerbaijan. 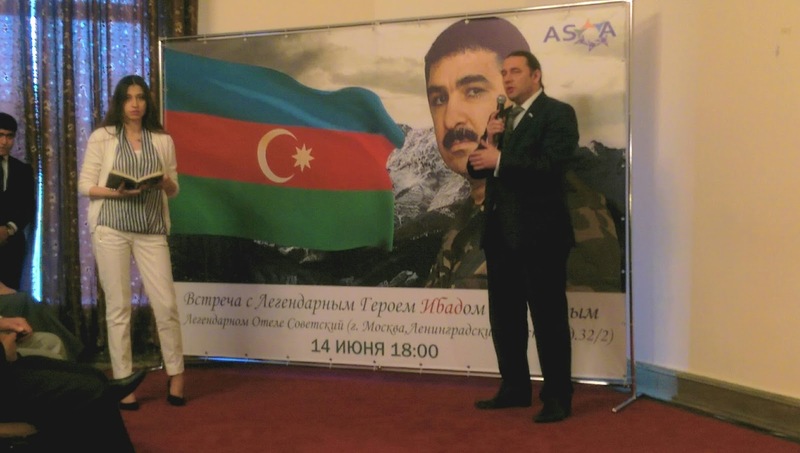 Armed clashes in Karabakh in April have shown that in the case of Armenia's refusal to withdraw its troops from the occupied territories, the Azerbaijani army will return its territory by military means. However, Azerbaijan does not want war and bloodshed, and hopes that the Armenian side will take into account the lessons of the April fighting and will sit down at the table of peace negotiations. 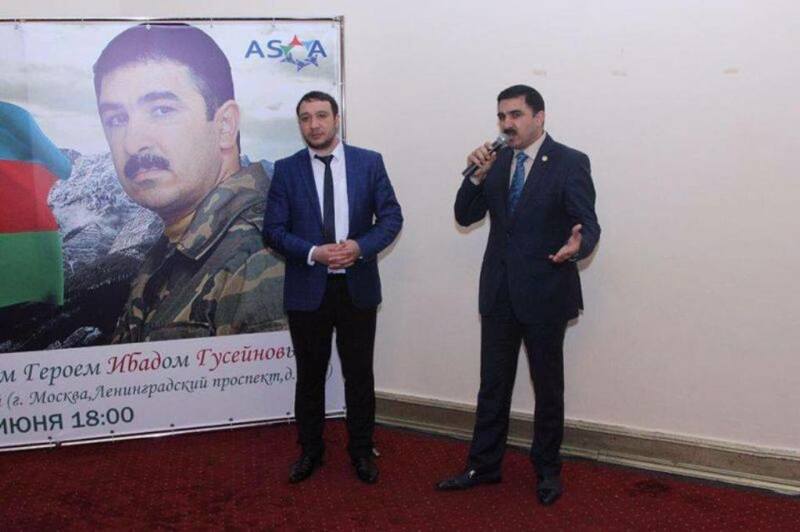 The battle route of Ibad Huseynli, Azerbaijani intelligence officer, Chevalier of the Order of the Azerbaijani Banner, always draws the public attention. Ibad Huseynli commited many military operations, during which many Armenian high-ranking military officials and terrorist fighters were killed. The group of veterans of the Karabakh war gathered by Ibad Huseynli, executes different projects aiming at military-patriotic education of youth and trying to report the truth about the Karabakh conflict to the international community. Huseynli frequently performs at various international venues, carries out projects in several countries.